This year's ITB Berlin sent out very positive signals for the international travel industry. With the global economy expected to recover in the years to come the world's travel industry has begun 2014 confident of good tourism business. Following a recent period of relatively sluggish growth, particularly in many recession-hit countries, the global travel industry is once again on course for rapid growth. In Germany consumers have ensured that the mood in the travel industry is positive. Backed by a stable employment market, good wage agreements and positive forecasts for economic growth, German citizens aim to spend more money on their holidays than in previous years. This year's ITB Berlin reported a four per cent rise in trade visitors and an increase in business volume, which Messe Berlin estimates reached 6.5 billion euros. The focus of the world's leading travel trade fair, which came to an end on Sunday, was on travel bookings via smartphones and tablets and on sustainable practices in the travel industry. Dr. Christian Göke, CEO of Messe Berlin: "Never before was there such an emphasis on innovation as at this year's ITB Berlin. The mood among exhibitors and visitors at this year's show was one of euphoria, which over the last five days could be felt everywhere on the Berlin Exhibition Grounds. The world's leading travel trade show had an even more positive impact on trade buyers and holidaymakers than in previous years." Among the countries on the Mediterranean Greece and Spain reported particularly high growth. In 2013, numbers visiting Spain reached a new record. Germany and Europe have become increasingly popular with travellers from Asia. 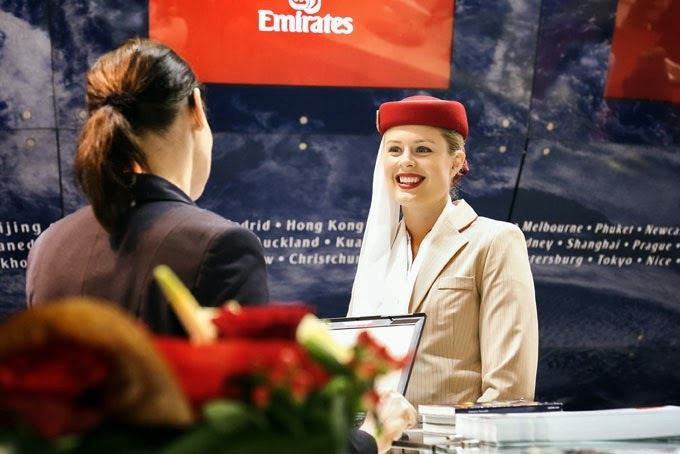 At this year's ITB Berlin numerous hotels and holiday resorts not only exhibited on the stands of the various countries and regions but also hosted their own displays in the halls. Visitors thronged the halls on the Saturday of the show. Despite the warm weather for this time of year more than 60,000 members of the general public came to find out about the wide-ranging information on offer from exhibitors and providers of niche market products. As in 2013, visitors at the weekend were able to book their tours directly at ITB Berlin. A poll among visitors revealed that around 50 per cent intended to book a trip. On average, each visitor spent around 2,000 euros on a holiday trip. Close to one-third of the companies exhibiting sold travel products to the end consumer. Christian Göke: "It was not only our visitors who responded positively to this new service. For exhibitors as well it makes ITB Berlin even more attractive and offers a 'test market'." Next year, ITB Berlin will be taking place from Wednesday, 4 to Sunday 8 March.